My childhood friend holidayed with her family on Lord Howe Island and returned with fantastic stories of misty mountains, beachside bungalows and trundling turtles, but the most audacious and daring story of all involved water take-offs and landings, seaplanes obviously incredibly adventurous to my 10-year-old self. Since the runway was built, flights from the mainland now land on terra firma, but not much else had changed when I visited 40-odd years later to finally tick Lord Howe off my long-awaited bucket list - and it quickly became obvious that despite years of anticipation and childhood fantasy, my expectations would be surpassed. Even glimpsing the island, grey and shrouded in rain, was enough to make me gasp … well, that or the sudden drop as the pilot tackled the tricky winds that tend to howl around Howe. With its mix of pioneering spirit, 60s Aussie seaside town and resort-style living, Lord Howe is the perfect place to experience quotidian serenity; a simpler way of life where even the lack of mobile reception is a welcome respite from the madding world. Everyone greets each other with a smile and wave (whether you know them or not), and friendships are quickly made. Even crime is non-existent, in fact you’re usually not given a room key, the biggest danger seemingly falling into mutton-bird holes, tripping over wood-hens or exceeding the 25km speed limit on pushbikes, the island’s main mode of transport. 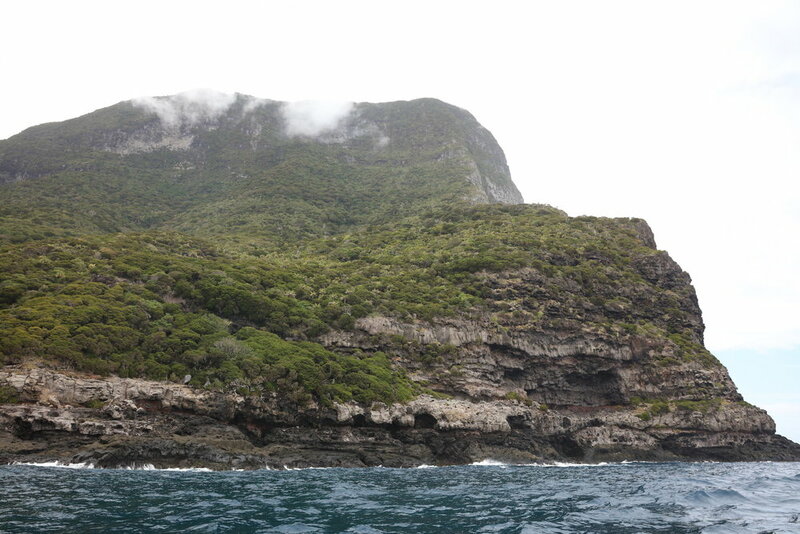 But it’s the scenery and wildlife of Lord Howe that’s spectacular; an Arcadian nirvana only 10 kilometres long yet containing landscapes both Jurassic and genteel. Mts Lidgebird and Gower loom over bucolic pastures and well-fed cows, their summits usually covered with clouds that flow like vaporous waterfalls over their rainforest-cloaked sides where you can just imagine dragons lurk. It’s when you enter this realm though that the magic really begins and size takes on a whole new meaning. Here African violets grow as tall as trees, banyans splay tendrils like colossal spider’s legs and soaring tee-pee style pandanus roots encircle the moist earth and drop fronds that swallow the walking track. There is magic everywhere. 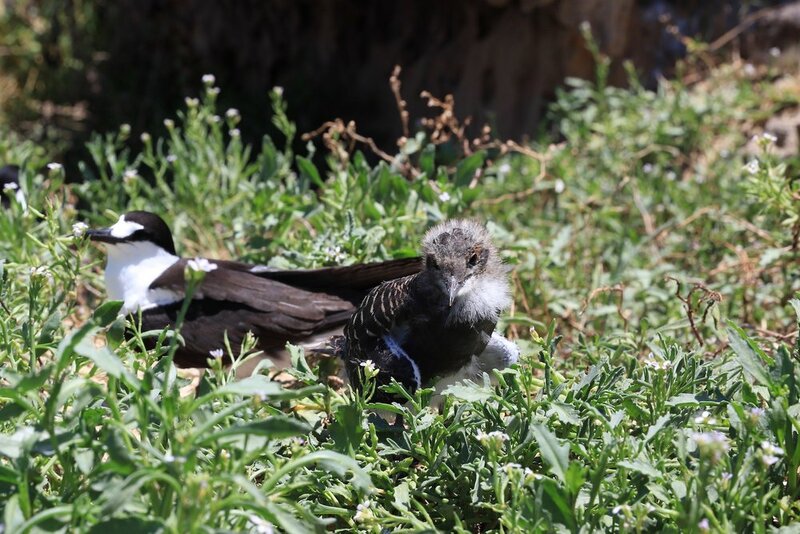 Iridescent blue fish dart between legs as you feed them at Ned’s Beach, and plaintive calls come from nearby sooty tern chicks waiting for parents to return with a seafood bounty. 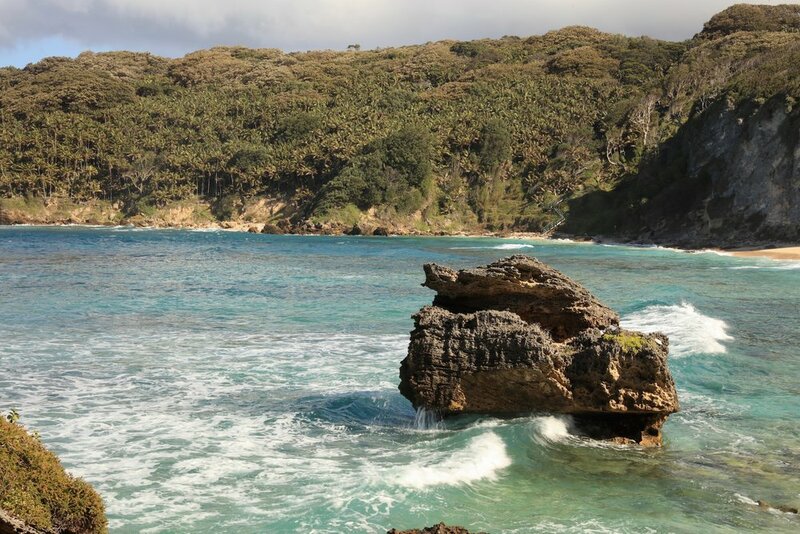 Fantastically shaped bleached corals sit on Old Gulch’s rocky shoreline while the azure waters of beaches and lagoons are filled with organisms full of colour that allow Lord Howe to claim having the southernmost coral in the world. And even off the coast the wonders continue, Balls Pyramid, the worlds tallest ‘ocean stack’, rises from the depths like a Hogwarts’ turret. 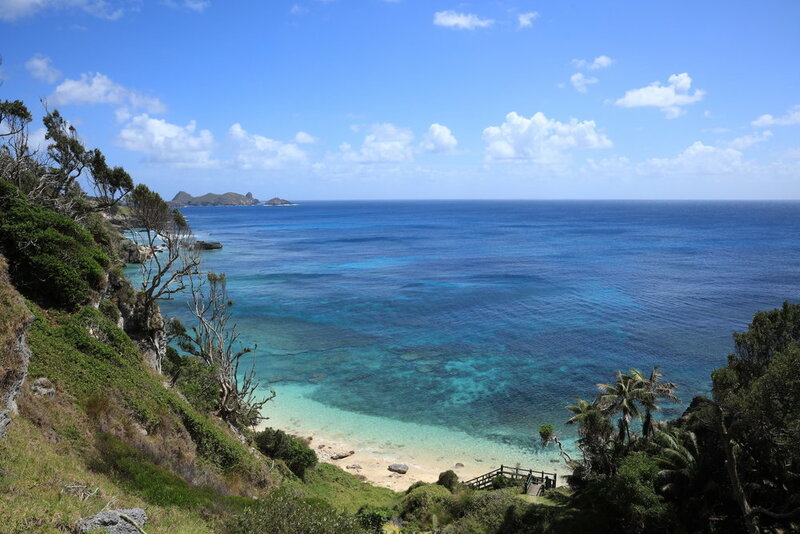 It’s no wonder Lord Howe is UNESCO-listed and ripe for discovery. Whether walking on tracks that demand a little vigour (or those that are more of an amble), snorkelling and scuba diving in tropical waters, playing bowls and golf, or merely taking in the magnificent scenery from an idyllic picnic spot, you’ll feel that this is island life as it should be. Nothing here disappoints. Words & Photographs by Angela Terrell.